Make any gift really unique with laser wood engraving of the most memorable moments! Laser engraved gifts are even more special and important when given to the children in your life. 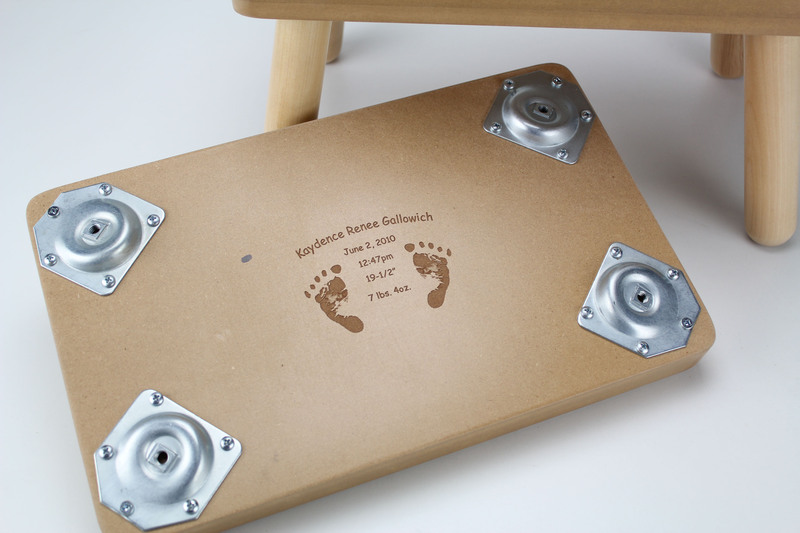 By engraving something personal on the bottom of a personalized puzzle stool your child will have a treasured keepsake later down the road. From personalized happy birthday messages to birth announcements, make an ordinary gift, extraordinary! 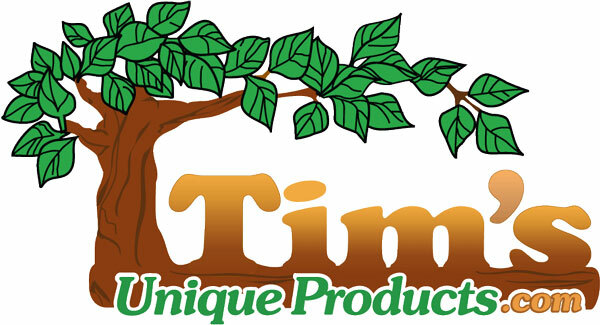 We offer wood laser engraving on our stools and other personalized children's gifts! 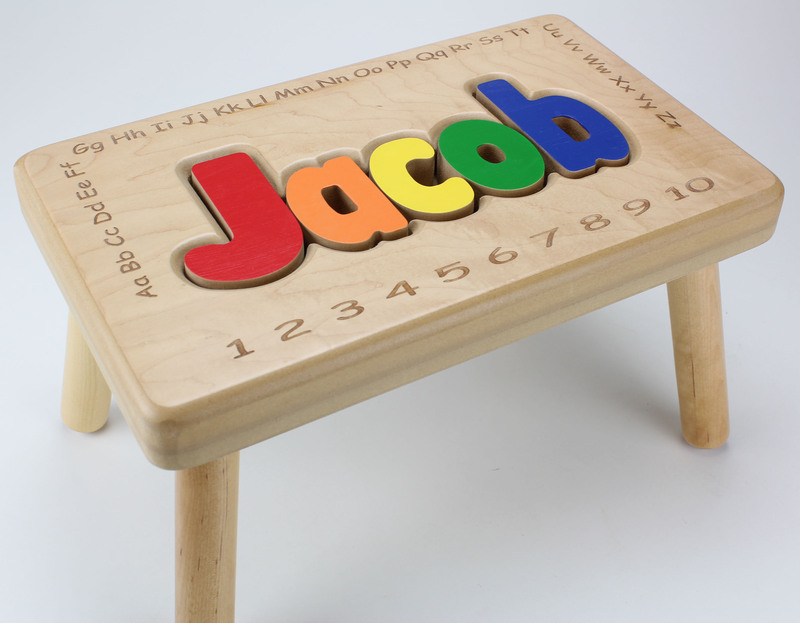 This includes the engraved alphabet and numbers around the child's name!